For many years, Boca Raton has been known as the playground of the wealthy. Why you may ask? Boca Raton features a wide range of amenities that most cities would drool over. From pristine beaches to high end shopping, Boca Raton provides all the luxuries of a big city housed within a small community. This is one of the most popular areas for those all across the country to turn to for their retirement. When it comes to housing, Boca Raton is easily one of the most sought out locations for retirement homes, vacation homes, and second homes for people all over the world. If you have dreamed of living close to the beaches, you should check out Casa Bella Homes. 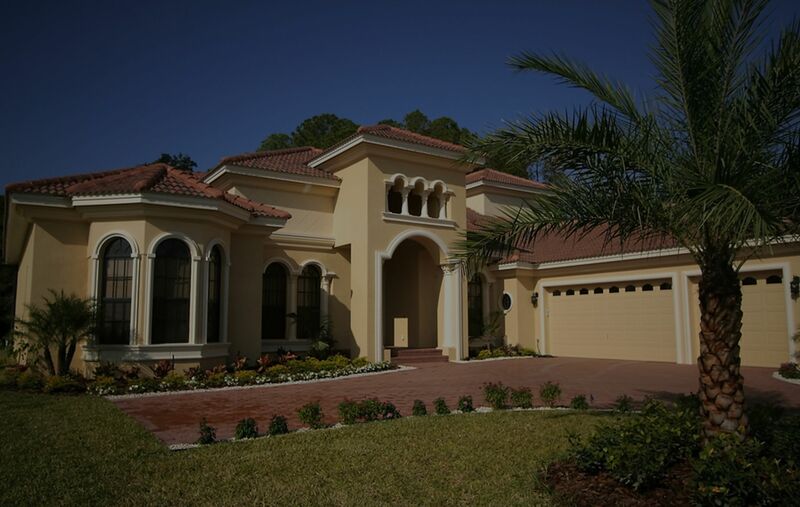 The community of Casa Bella boasts one of the most exquisite properties in the area. This gated community features two distinct kinds of homes including estate homes and executive homes. Both types are much larger than the average size home you would find in the rest of the country. These grandiose homes are not only filled with great high end features, but the community also comes with many luxuries you want find in your average neighborhood like a gated entrance, beautiful landscaping, and a clubhouse. When the famous architecture Adam Mizner came to Boca Raton, he brought with him his Mediterranean tastes which you can clearly find throughout the homes of Casa Bella community. In fact, these homes come with plenty of great Mediterranean features throughout the 2,200 to 4,400 square feet of space you will find. The executive homes can be found for around $400,000, while the estate homes are priced around the $700,000s. What makes Casa Bella so grand is the close proximity to all the fun things that make Boca Raton so fabulous. In fact, you are only 6.5 miles away from the Boca Town Center Mall and 7.5 miles away from the local beach. If you need to get out for a bit, the local airport is only 23 miles away making it easy to fly in and out as needed. You also have the Florida Turnpike right outside the neighborhood if you prefer to travel by car. Affordable living is imminent in Casa Bella as you get quite a bit for your money. Your affordable HOA fees cover maintenance for all common grounds, trash, and lawn care. This helps keep the value of the community up so you don't lose money on your investment. You also don't have to worry about yard work and keeping the property looking nice. On top of the low fees you pay each month, you have access to the grand clubhouse where you are sure to find plenty of time to enjoy. From socializing with your neighbors to attending parties to swimming in the community pool, the clubhouse is just another great feature that makes Casa Bella so wonderful. The pool is a great place to enjoy some rays by utilizing the sundeck. There is also a tot lot nearby so your kids have plenty to do to keep them occupied. You can also check out the lakes onsite that are featured on both ends of the community. If you are looking for something unique and affordable, there are four styles of executive homes to choose from. The Rivermont and Sagecrest feature one story of living space, while the Ashworth and Devonshire feature two stories of living space. Each can be completely customized depending on your needs unless you choose a home that if for resale. The estate homes are a bit more costly but come with much more square feet and higher end features. From three car garages to separate guest suites, you will find a wide range of amenities to choose from. Contact a sales agent to learn more about the wonderful properties for sale within the Casa Bella community. Below are some of the properties currently avaliable for sale in Casa Bella.If you have any questions feel free to contact the Chance Realty team today!